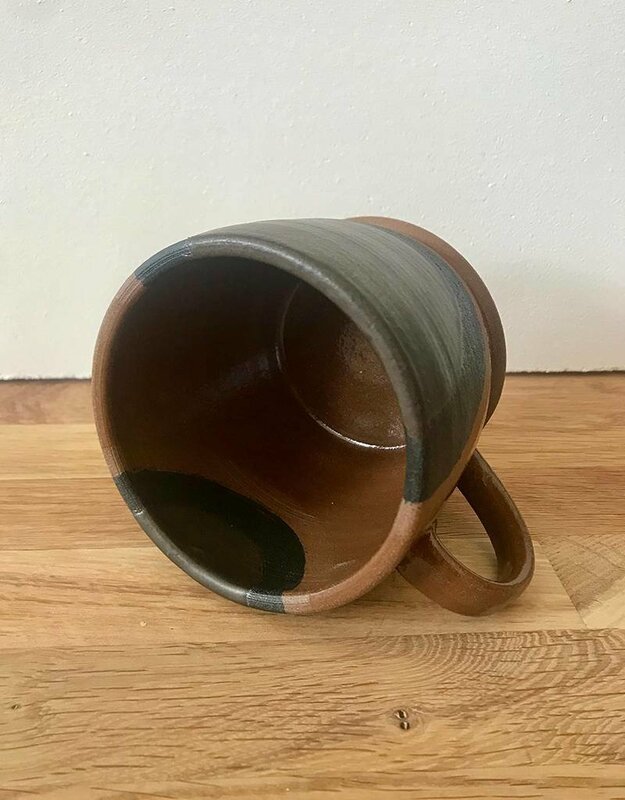 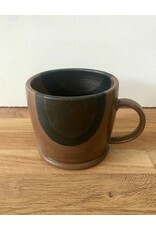 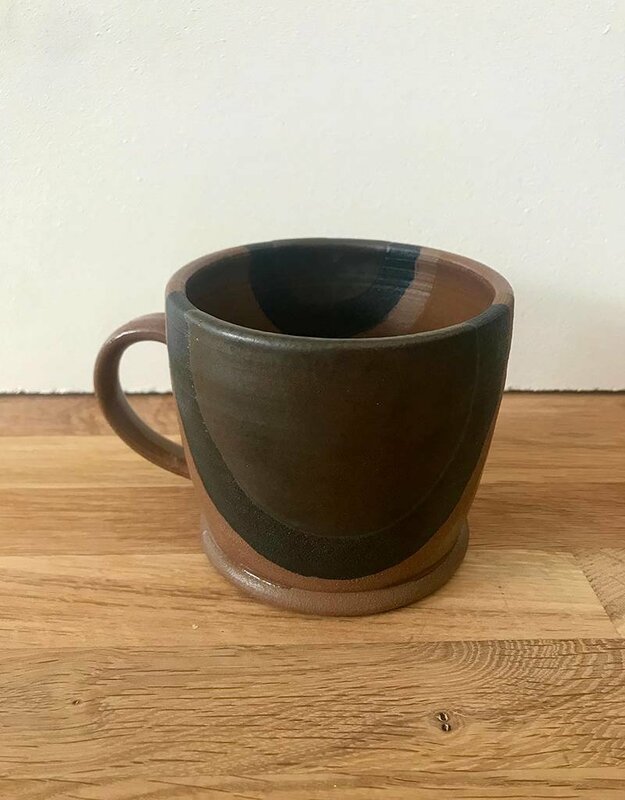 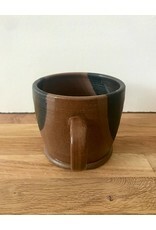 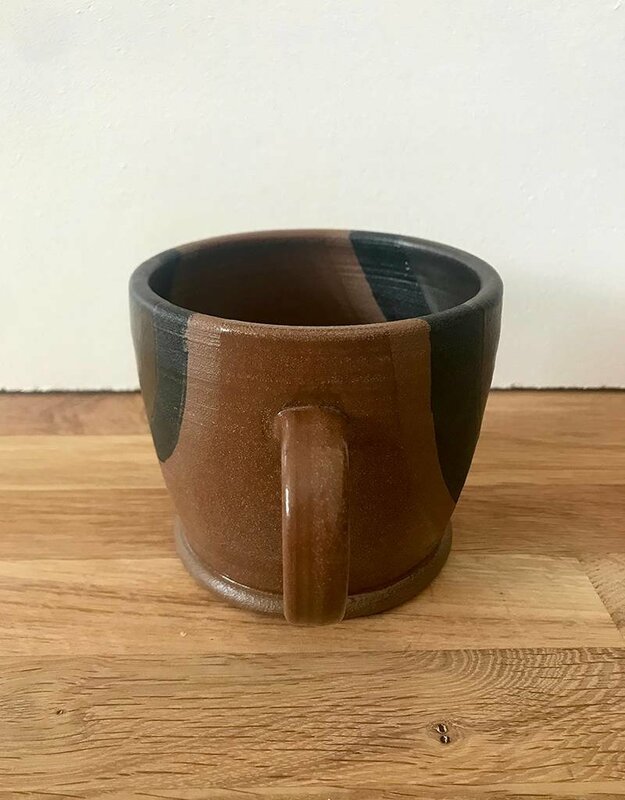 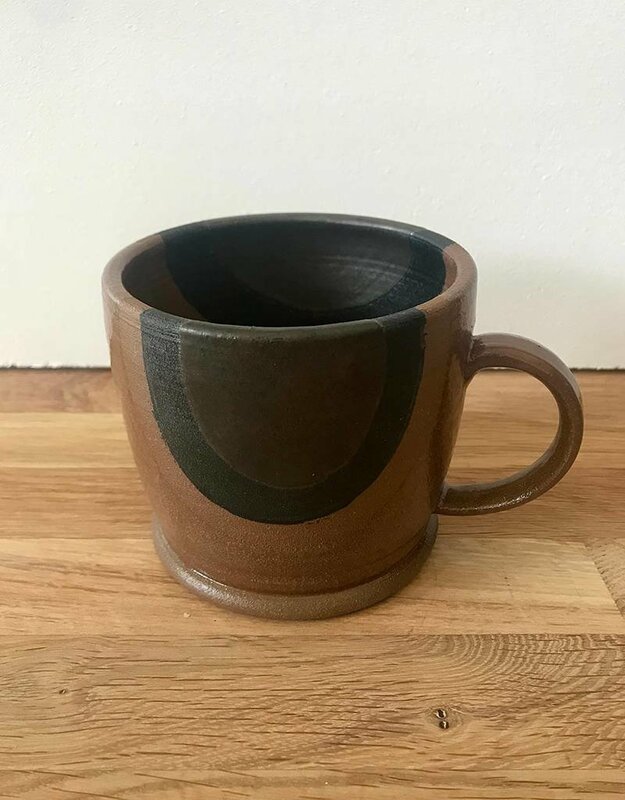 Vintage inspired handled mug, perfect for morning coffee or a cozy serving of soup. 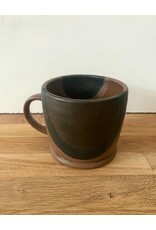 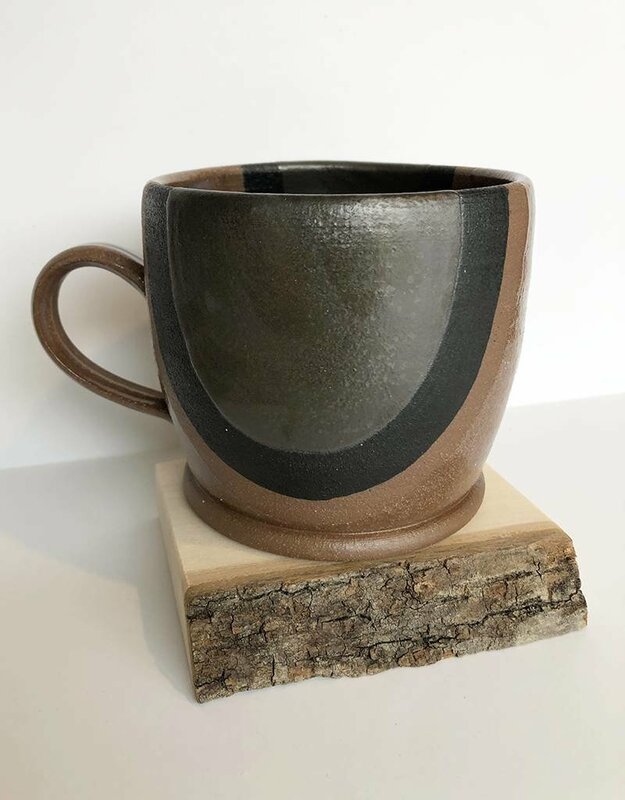 Hand thrown on the pottery wheel from a high quality, dark stoneware clay body and fired to cone 5. 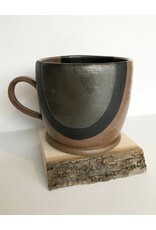 Details are hand painted in black and gunmetal. 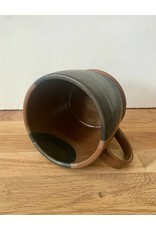 Because of the handmade nature of this product, each piece is unique and may vary slightly from the example pictured.